- Advanced sound analysis equipment was used to develop the Nitto Trail Grappler® tire to systematically reduce the noises normally heard when driving on off-road tires. The result is a tire 34% quiter at city speeds and 36% quieter at highway speeds when compared to the Mud Grappler®. - The 3-ply sidewall with a high turn-up construction acts as an extra layer of reinforcement to increase puncture resistance of the Nitto Trail Grappler® tire. - Nitto's proprietary, automated manufacturing system produces extraordinarily uniform tires. This creates a smooth ride on paved roads. 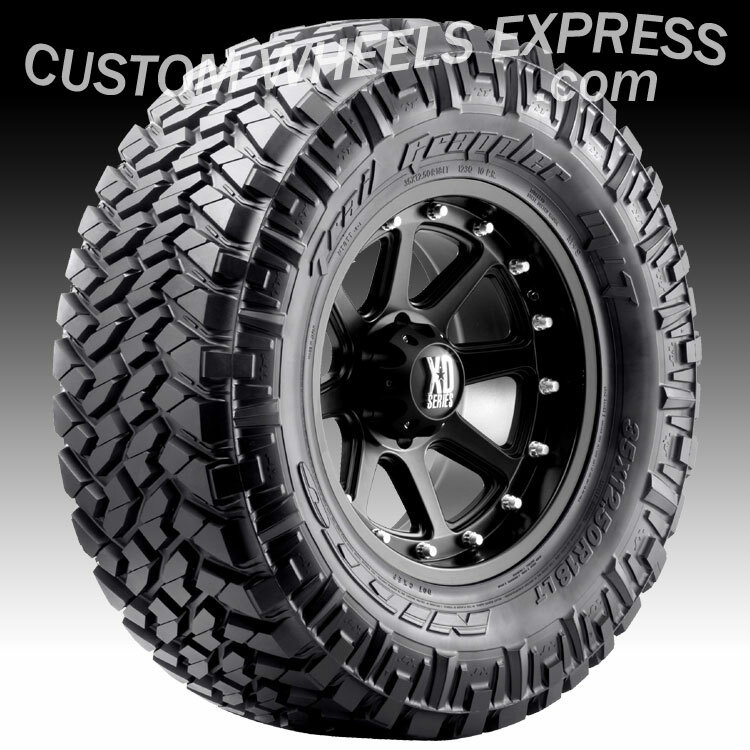 - The balanced void ratio of the Nitto Trail Grappler® tire efficiently removes mud and dirt from the tread to provide continuous off-road traction.